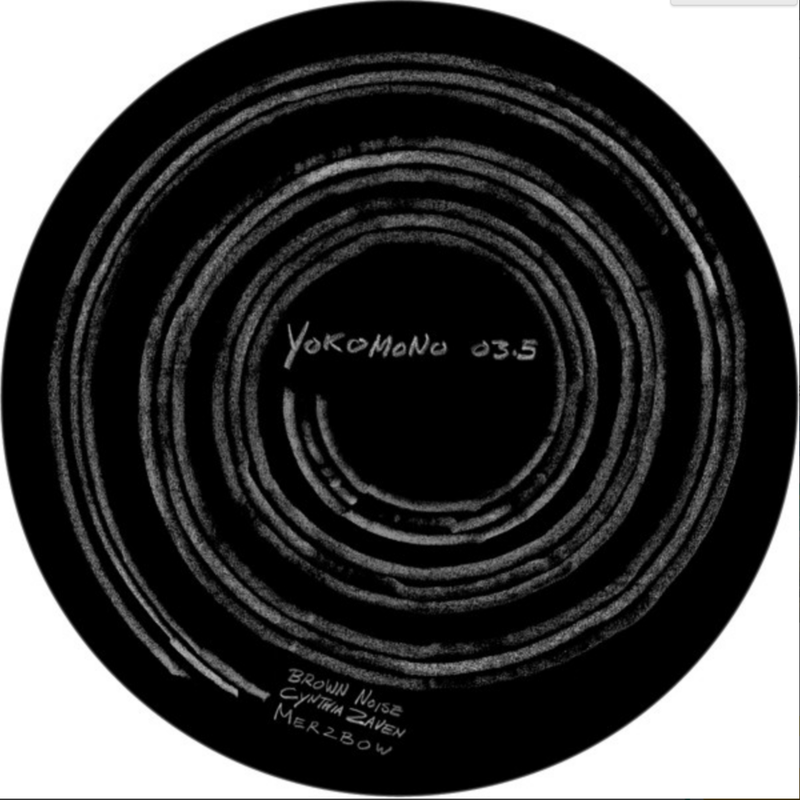 STAALPLAAT SOUNDSYSTEM - YOKOMONO 3.5 (LP by Staalplaat)You may have heard of 'white noise' before (the sound thing rather than David Vorhaus), and even 'pink noise', but 'brown noise' might be lesser known, and 'green noise': did that exist? Yet all of that is part, somehow of these two records. Staalplaat Soundsystem is not a band/project in quite the regular sense of the word, but rather a fluctuating group around Geert-Jan Hobijn (also founder of Staalplaat, the label), Carlo Crovato (an artist and under the pseudonym plastic-electrics), Jens Alexander Ewald (software developer) and Carsten Stabenow. Their installations are about sound and space and 'small' is a word that never applies to these pieces. Its never for one car, one vacuum cleaner, but calls out for loads of cars, vacuum cleaners or one hundred electric office fans. They are altered so that a composer can play them. In 'Yokomono Pro', a piece created in New Delhi, for 30 tuck-tucks, the horns can be controlled remotely. They drive a pre-determined route, so their sound starts becoming a rhythm pattern. Ilpo Vaisanen (of Pan Sonic fame) composed a piece out of that, which is hear recorded in Gent (Belgium), so I assume its cars rather than tucks-tucks. Its an utterly annoying piece to hear, certainly if you never drove a car yourself - like me - but it also has something captivating. Hardly like anything that is even remotely Pan Sonic like, but its not difficult to see Vaisanen's fascinating with a choir of short and long form tones back in this piece for thirty car horns. Towards the end its gets even fast rhythmical and almost melodically. Maybe, however, we lack a visual component here. Green noise is something that we find on the backside, which is a piece of 64 trees, attached with 'controllable, mechanical vibrators', which can be played with custom made software. Visitors to the installation can control this with their cell-phones, but its also possible to play this is a piece. On this record we have a composition by Radboud Mens. In both cases its clear what we hear, car horns and trees. But whereas the car horns are slightly annoying and making a novelty record (perhaps due to the lack of a visual element), the 'Composed Nature' side actually works pretty well, without a visual side. We hear trees, branches, leaves flapping in the wind, triggered by those vibrators, along with the birds and wind sounds that you get when you an outdoor recording. Radboud Mens cleverly builds up his piece, starting with sparse elements and then slowly going to more heavy motions of those trees (bigger ones I assume). Now here a visual element is not really necessary, as this can perfectly be enjoyed as a piece of music by itself. There is mean drone like sound at its core (why am I thinking of chainsaw? ), which comes in and out, but these seemingly random sounds are put together into one great piece of music. Simply by looking against the light at the white vinyl, we are able to distinguish the three sound tracks, recordings that don’t present the regular separations usually found on “normal” record printings. Here the idea has been to leave the stylus jump between the grooves, placing the listener randomly into the “cuts” that have been prearranged ad-hoc. Each record player will probably play this record differently, generating alternative sound sequences and making alterations to the score through repeating the listening process. It is impossible not to think that among the sources of inspiration of this very conceptual and refined project there is not an even metaphorical reference to the unpredictable music of the Fifties, for instance John Cage and the Italian composer Bruno Maderna. Although both equipment choices and repeated listening both engender chance, the aleatoric elements are here moved from the performer to the listener. The record player is not to be considered as mere playback equipment and the listening process is not reduced to being a purely passive act. The same “authoriality” also somehow comes to be queried, although we are able to distinguish the several contributions to the Staalplat Soundsystem concept, and have glowing words for the contributions of Cynthia Zaven, Merzbow, Mika Vainio and Jaap Blonk, experimenters experienced working with different mass media devices and fashioning rigorous reworkings that circle around their releases and performances. The special collection of Staalplat records broadens and we are confident there will be a continuation of such trailblazing research.